Hundreds of people gathered to celebrate the life of Chicago theatre giant Sheldon Patinkin on Jan. 26, packing the North Shore Center for the Performing Arts in Skokie, Ill. Chair emeritus of Columbia College Chicago’s Theatre Department and an essential figure in the Chicago arts community, Patinkin passed away on Sept. 21 at the age of 79. Patinkin served as chair and artistic director of the Theatre Department beginning in 1980, a position he held for 28 years. He built the department into what it is today: the largest college theatre department in the U.S. His relationship with The Second City paved the way for the creation of the college’s groundbreaking Comedy Studies program and unique BA degree program in Comedy Writing and Performance. In addition, he mentored hundreds of students who have gone on to distinguished careers in theatre, film and television, including Tony Award-winning director Anna Shapiro (BA ’90) and Obie Award-winning director David Cromer (’86). Speakers at the memorial included friends and colleagues from Patinkin’s decades of involvement with Chicago theatre, including Cromer, 30 Rock actor Scott Adsit (’89) and Scandal actor Jeff Perry. 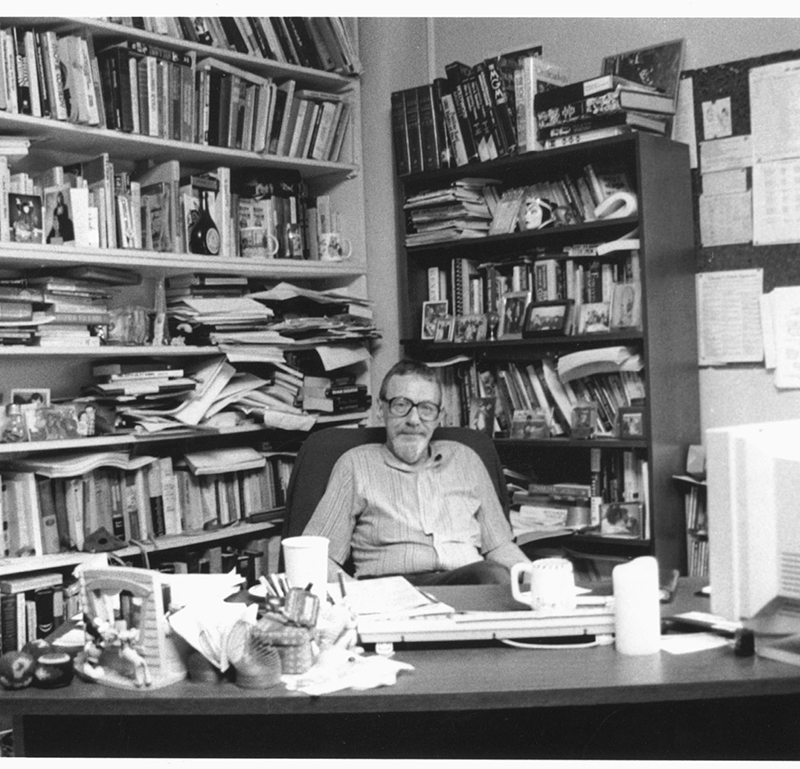 Patinkin will always be remembered as a seminal figure in Columbia’s history. The Sheldon Patinkin Endowed Award will be given to a senior theatre major to advance his or her professional career. In addition, a black box theatre will be named in Patinkin’s honor. 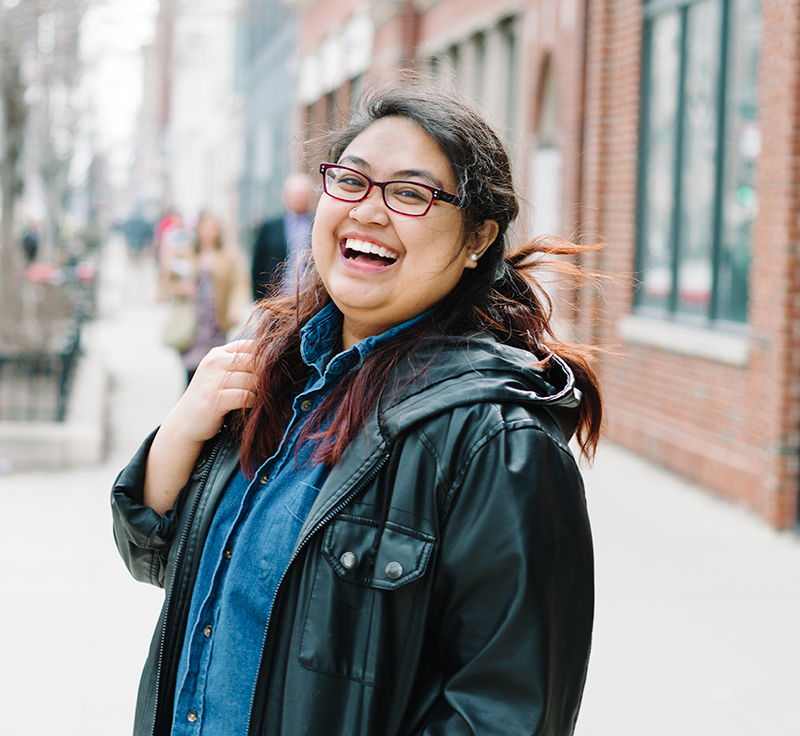 Only in her second year as a graphic design student, Monique Doron (’17) was elected in a campuswide vote as Manifest’s student creative director. Her designs will weave through this year’s urban arts festival on May 15 as Columbia College Chicago’s talented students take over the South Loop. “It’s a very humbling opportunity, being a sophomore and having this amazing part of my college career,” she says. Doron’s winning designs feature geometric hands inspired by structural string art. She wanted to capture the energy of hands poised in creative work, a nod to Columbia’s “hands-on” approach. As creative director, Doron will design Manifest’s print work, from postcards and posters to her own version of the iconic Manifest star. 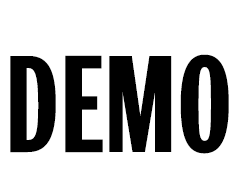 For more information about Manifest 2015, which is free and open to the public, go to colum.edu/manifest. Congratulations to the Columbia College Chicago alumni who won or were associated with the following film and TV awards over the fall and winter. Scott Adsit (’89) played the lead character in Big Hero 6, which won for Best Animated Feature. Common (’96) and John Legend’s song “Glory” for Selma won for Best Original Song. Diane Weyermann (MFA ’92) was the executive producer for Citizenfour, which won for Best Documentary Feature. Bob Odenkirk (’87) acted in Fargo, which won for Best TV Movie or Mini-Series. Lena Waithe (BA ’06) was the producer and Phillip J. Bartell (BA ’92) was the editor for Dear White People, which won for Best First Screenplay for Justin Simien. Diane Weyermann (MFA ’92) was the executive producer for Citizenfour, which won for Best Documentary. Common (’96) won for Outstanding Supporting Actor in a Motion Picture for Selma. Paul Garnes (BA ’96) was the executive producer for Selma, which won for Outstanding Motion Picture. Richard Hemmingway (’87) was the editor for Iyanla, Fix My Life, which won for Outstanding Reality Series. Jeff Jur (BA ’76) was the cinematographer on the pilot of How to Get Away with Murder, which won for Outstanding Drama Series. The phrase “Ballet is the root of all dance” gets thrown around in dance classrooms and studios, but Dance Chair Onye Ozuzu thinks that’s only half the story. 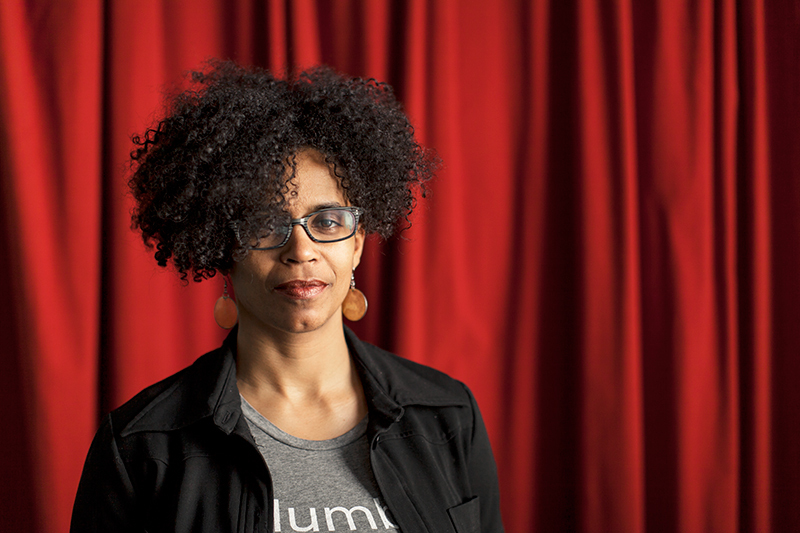 Since coming to Columbia College Chicago in 2011, Ozuzu and the department have been building a contemporary dance program with supporting training in both ballet and West African dance. Ozuzu herself spent her 20s as an active member in West African drum and dance circles in the United States. She’s danced and choreographed internationally, from The Joyce Soho in New York to the Kaay Fecc Festival De Toutes les Danses in Senegal. I always danced as a child, up and down the hallways or in the living room. I started taking classes when I got to college, in a similar way to how students from all over campus come to our department now. I was an English major and I took some jazz classes in the dance department at Florida State University. That ignited me very, very quickly into a sense of home and belonging and understanding where my primary language was. I was an English literature major and I was always a writer, and very interested in storytelling and narrative, poetry. There was something about dancing that got more quickly to the heart of that for me. What attracted you to Columbia? I was really compelled by the mission of this college, the sense of learning by doing. It’s more than just, “We’re going to bring you in and put you out as a great dancer.” We’re going to bring you in, and we’re going to use your interest and your talent and your passion for dance as a lens to really grapple with what it means to be a human being. What it means to be in a society, what it means to contemplate history, what it means to think of yourself as a professional. include ballet and West African dance techniques equally. Can you expand on that? That intersection in techniques has been a long, interwoven conversation in the American dancing landscape. So we said, why not just put them together? With these techniques in your body, what do you want to say? What kind of dance do you want to formulate? At Columbia, because we’re a cultural institution, we’re not just interested in making machines of these bodies that can do these cool moves. Our students are learning to interrogate culture and history and theory and politics and artistry. I think we are continuing to investigate the potential of this juxtaposition of very, very different types of training. Columbia College Chicago is expected to welcome up to 360 students from Harrington College of Design beginning in fall 2015. This is a transitional phase that will eventually culminate in the closure of Harrington College. Most students would enter Columbia’s Photography, Interior Architecture and Graphic Design programs. The agreement between Columbia and Harrington, subject to accreditor approval, would provide students in Harrington bachelor’s degree programs with the opportunity to transfer and enroll in the same program offered by Columbia College and complete their programs of study at Columbia. Master’s and associate degree students at Harrington would continue to be taught by Harrington faculty, on Columbia’s campus, and receive their degrees from Harrington. Like other colleges across the U.S., Harrington College faced increasing financial deficits caused by multiple years of continuous declines in enrollment, as well as increased regulation facing private institutions of higher learning. Columbia and Harrington have submitted the plan to the accrediting body Higher Learning Commission, and hope to receive final approval by mid June. Best-selling author and pop-culture commentator Chuck Klosterman spoke to students on Oct. 21 as part of Columbia’s Poetry and Nonfiction Reading Series. Klosterman discussed how to make it as an author in the digital age and the importance of writing about what you love. YA novelist Stephanie Kuehn was among the dozens of writers who appeared during Columbia College Chicago’s 2015 Story Week Festival of Writers. 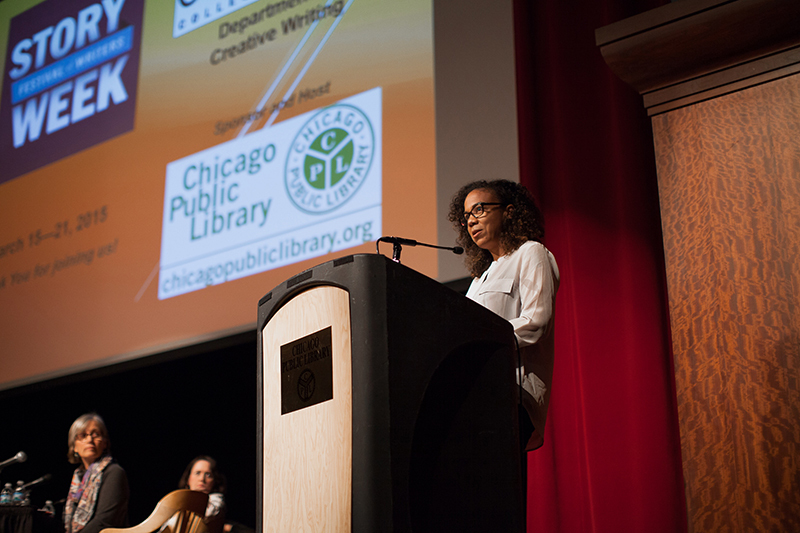 Using the theme “The Power of Words” and held March 15-21, the weeklong event featured readings, writers boot camps, and author panels on memoir and fiction, sci-fi and fantasy, young adult fiction and playwriting. At this year’s commencement ceremonies, taking place May 16 and 17 at the historic Auditorium Theatre, Columbia College Chicago will recognize its 2015 honorary degree recipients. Honorary degree recipients are outstanding individuals in the arts, education, politics and public information. This year, the college honors five alumni: Len Amato (BA ’75), president of HBO Films; Chester Gregory (BA ’95), award-winning singer and actor; Josefina López (BA ’93), playwright, screenwriter and theatre producer; Anna Shapiro (BA ’90), Tony-winning theatre director; and Nan Warshaw (MA ’93), co-founder and co-owner of longstanding indie-rock label Bloodshot Records. 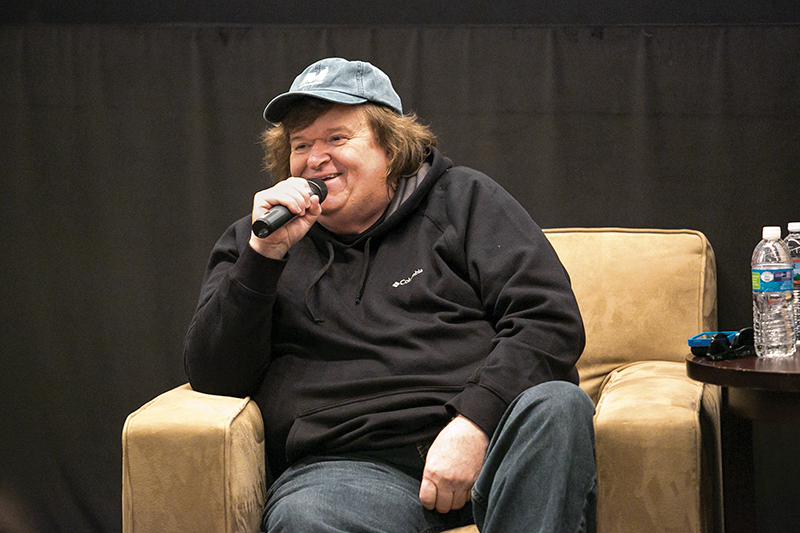 On Oct. 22, filmmaker and documentarian Michael Moore spoke with students about making gutsy movies. The event took place at Film Row Cinema as part of the Chicago International Film Festival. 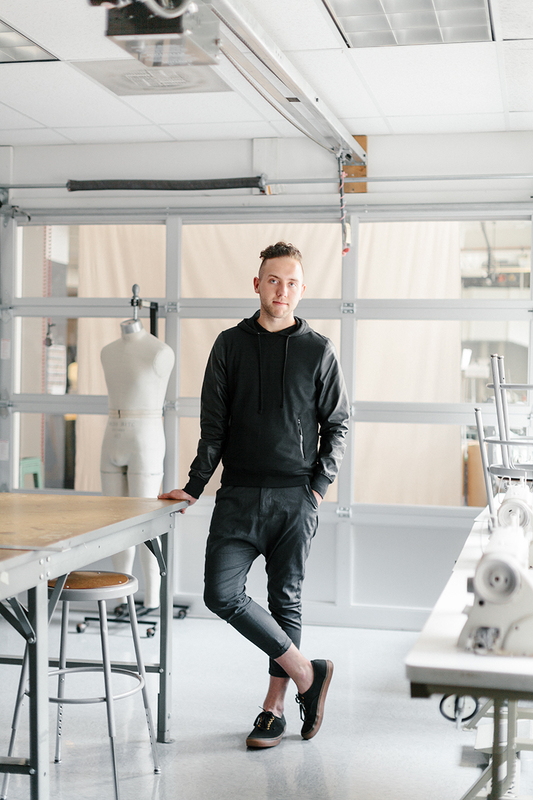 When Fashion BFA student Alexander Knox (’15) joined the cast of Project Runway’s 13th season, he promised show mentor Tim Gunn one thing: No matter what, he would finish his degree. Knox joined 18 other budding designers on Lifetime’s hit competition series, impressing the judges with his edgy looks. Though he was eliminated in episode 10 in September, he was elected Fan Favorite of the season, which included a grand prize of $10,000. Today, Knox is home in Chicago, finishing his degree while also working on design collaborations with local drag performers.